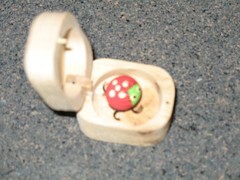 Growing up in a little farming town in central Illinois, ladybugs were a standard component of summertime, along with lightning bugs and mosquitos. 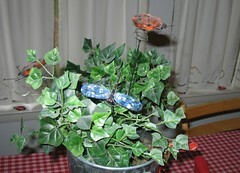 Here in south Texas, you occasionally see ladybugs, but not as commonly, unless you're in my kitchen. 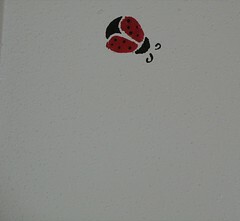 Recently, some new ladybugs have come into my house, for non-kitchen-related use. And these hold my DPNs! These great DPN protectors are from Three Owls Knitting. She's got all sort of cute designs for $8 to $10 for a set of two! Plus, she tweaked these for me to fit the 6" needles I usually use. You know you need some!